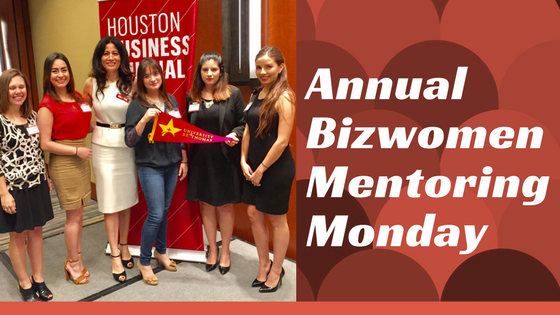 During the annual Bizwomen Mentoring Monday hosted by the Houston Business Journal on April 3, 2017 at the JW Marriott Houston Galleria, GlobalSpeak’s very own CEO Flor Dimassi shared her business knowledge, with mentees in search of professional career guidance, along with 39 other women mentors. In addition, GlobalSpeak sponsored five students from the University of St. Thomas, where Dimassi graduated with a BA in International Business and where her own personal success story began. She is now an Advisory Board Member for the university’s Center for International Studies. 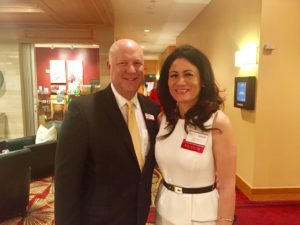 After a short breakfast, Dimassi and the other professional women patiently sat at their tables for four minutes as attendees chose which mentors to speak with. Once the time was up, attendees and mentors had a ten minute “coaching session”, where questions and expertise were exchanged. With this “speed dating” method, attendees can meet a variety of local, female leaders from different industries, including business, energy, nonprofits, and many more. HBJ’s parent company, American City Business Journals, provide these events wherever their 43 markets allow them throughout the country, featuring 1700 mentors and about 8600 participants. These events are held on the same day and at the same time from each location. 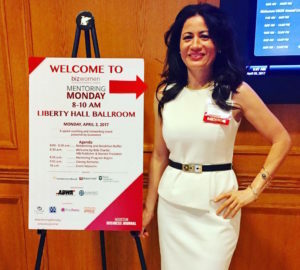 As CEO of GlobalSpeak, Dimassi has been invited multiple times to Bizwomen Mentoring Monday, sharing her personal insights of what it takes to become a successful women in the professional world. After succeeding in the hospitality industry, Dimassi relinquished her shares in a successful restaurant to explore her other options. Combining her passion for languages and her executive expertise, she moved toward providing technical translation services to the energy industry, launching her own company in 1993, then rebranding and expanding it in 2011. Today, GlobalSpeak Translation Services provides its services world-wide.